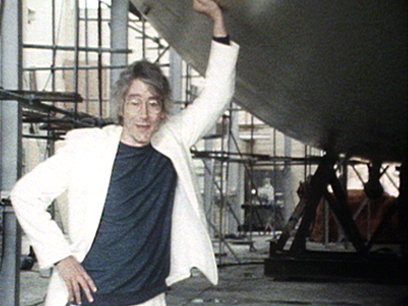 In this excerpt from TVNZ's 1980s science and technology series, reporter Jim Hopkins visits a West Auckland boatyard where one of the world's biggest single-masted yachts is being built. Construction of the multi-million dollar, 122 foot long Aquell (later Vainqueur), is state of the art for the times although decades of subsequent America's Cup boats have taken some of the lustre from revolutionary materials like Kevlar and carbon fibre. Then again, not every yacht comes complete with twin 350 horsepower diesel engines, two bedrooms and an onboard jacuzzi.